The adventure of the manor did not end with the structural restoration. Redecoration brought a new set of challenges. The members of the Société de sauvegarde du patrimoine du Grand-Portage, still with the support of The Canadian Heritage of Quebec, wanted to recreate the manor’s warm, welcoming atmosphere. 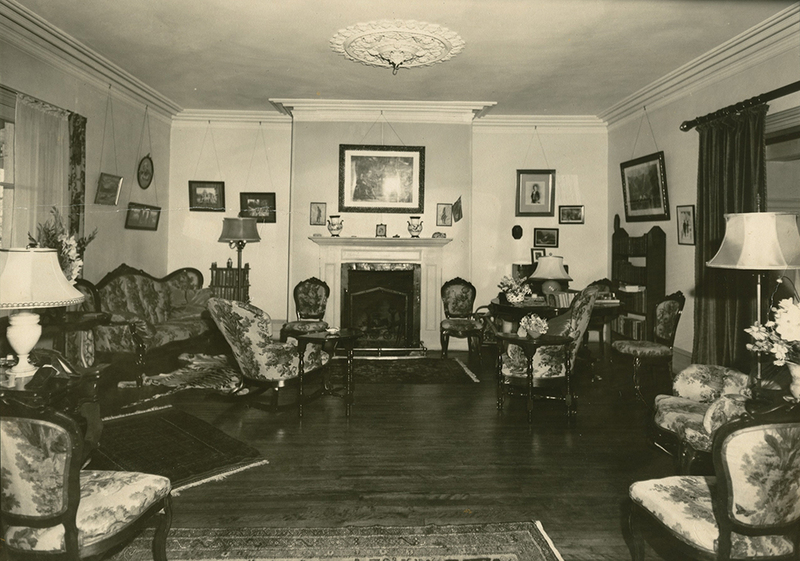 The drawing room of the manor around 1960. Francine Lagacé and Norma Dumont and their decorating team were inspired by period photographs of the manor and by the accounts of Fraser family descendants. They were greatly helped in their objective by being able to use much of the furniture, accessories, documents, and photographs that had been kept within the Fraser family. 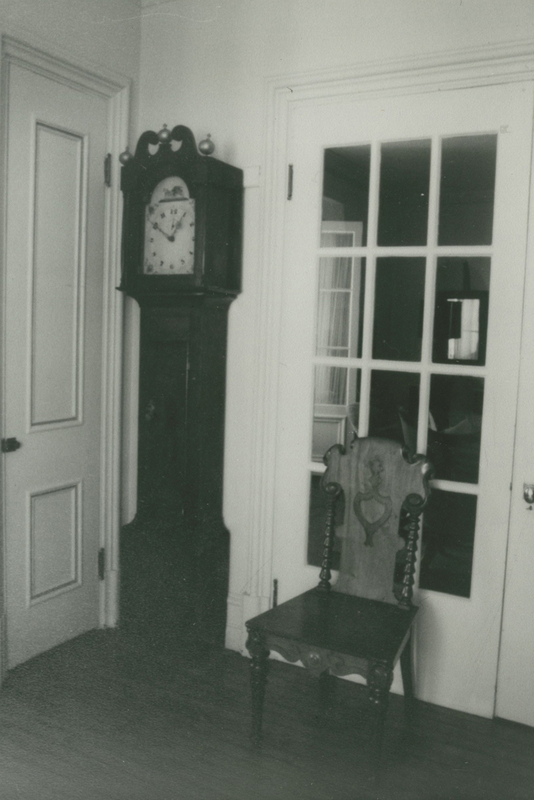 Grandfather clock and chair in the entrance hall of Manoir Fraser, circa 1960. Despite their deep attachment to these items, the Fraser descendants agreed to make them available to the heritage society. Thus began a long-lasting collaboration between the family and the organization. Year after year, family members added original pieces to help the Société finish furnishing the manor. Their additions made up the volume of period accessories. The Canadian Heritage of Quebec and citizens also contributed by lending furniture and other items. Francine Lagacé did not only aim to make the manor look the way it did at the end of the 19th century, she also hoped to recapture its soul through its interior decoration. As soon as visitors step into the house, they have the impression of travelling back in time. 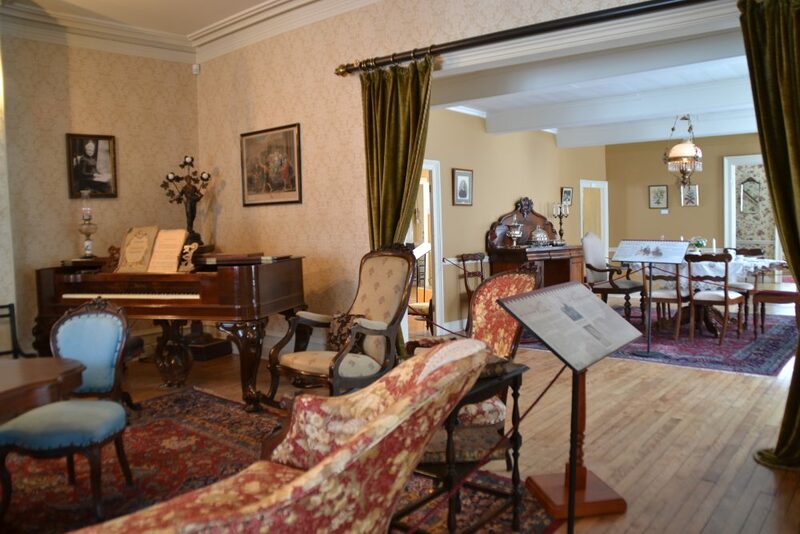 The atmosphere is so authentic that even with interpretation panels on the ground floor, visitors have the feeling that the Frasers are still in residence. The interior of the Manoir Fraser in 2015.